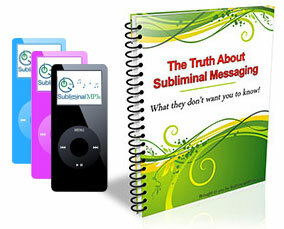 Dramatically boost your productivity, and simply get more things done in all areas of your life with this powerful subliminal mp3 album. Do you start things never to finish them? Do you put things off until the very last minute? Once you start a task do you get easily distracted, often making excuses, or doing anything to avoid the task at hand? If you can see yourself in the above questions then this is the album for you. It will help you in several ways, all-together making you more productive, focused, and highly driven - you will get more done, in less time, and do a better job! Firstly it will help you to stop procrastinating. You will take responsibility for the work that has to be done, whether it is pleasant or not. You will think logically; that the work has to be done, and putting it off will only make it more difficult, and more stressful. Secondly, you will gain a laser focus while you are working. You will concentrate on the task at hand and work to completion. Distraction will be a thing of the past as your mind becomes clearer and sharper. Thirdly, you will be more motivated and driven. You will pride yourself on your work, and getting things done quickly and efficiently. Lastly, you will develop momentum. You will think differently, and begin to feed off your past successes, getting a buzz out of the work you have completed and wanting more. This is a fast acting album and you will feel energized upon listening. It can be used in the short term to give you a boost, and get you back on track to what you should be doing, and then over the long term it will make you more productive naturally – at all times, and in all areas of your life. Become productive at work and at home. Make laziness, inefficiently and procrastination a thing of the past and be more productive with help from these unique subliminal messages.